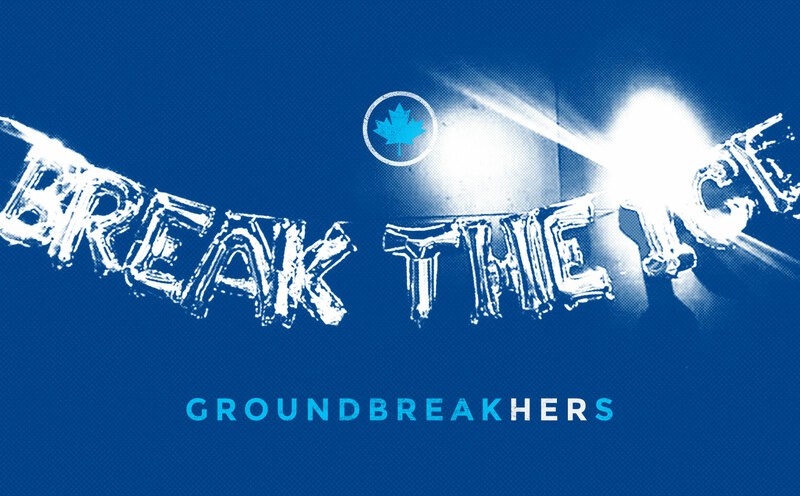 Last week, GroundbreakHERs hosted its first Maple Leafs event, including an exciting panel discussion, breakout sessions and great seats at the game. Four lucky SLN Creators were in attendance, gaining invaluable insight into the world of sports and media. 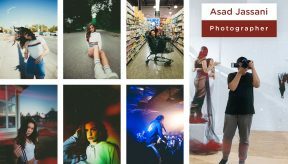 In this post, we compiled their takeaways. 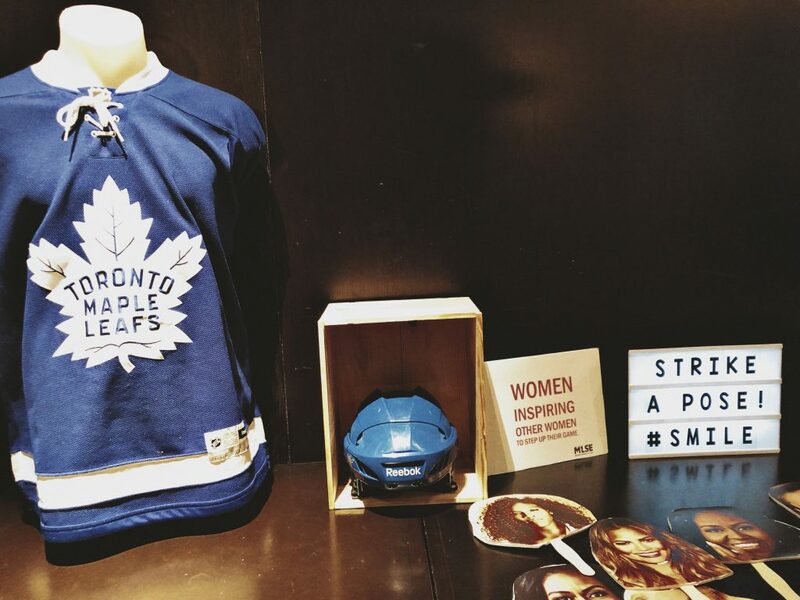 We even had a chance to chat with one of the event organizers, Danielle Henry (Account Executive @ MLSE). 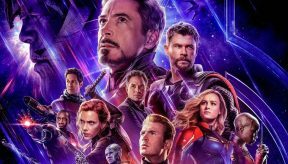 Here’s what everyone had to say. Danielle, what was the inspiration for the GroundbreakHERs series? In high school and university, I never thought about getting into sports. It’s honestly something I had never really thought about before. 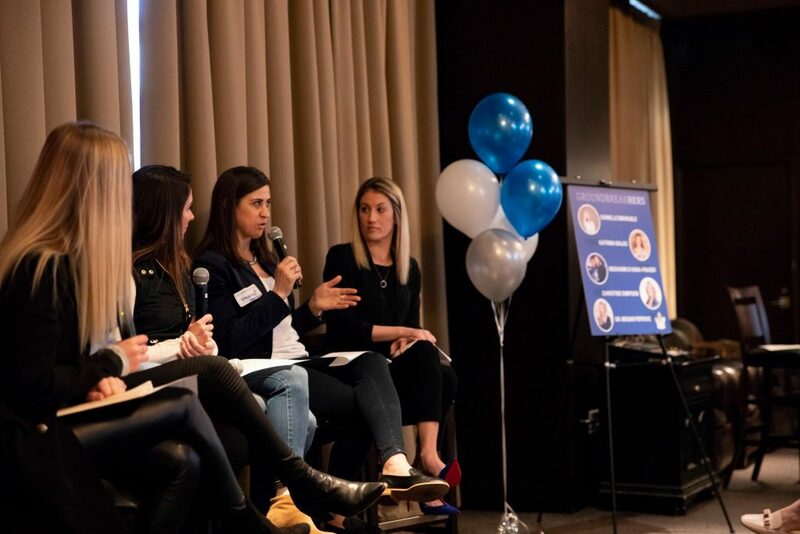 The GroundbreakHERs program is important to shining light on this industry for women who are looking to their next career path. It showcases opportunities for working in sports/media. On a business level, this idea came about when MLSE acquired the Toronto Argos. 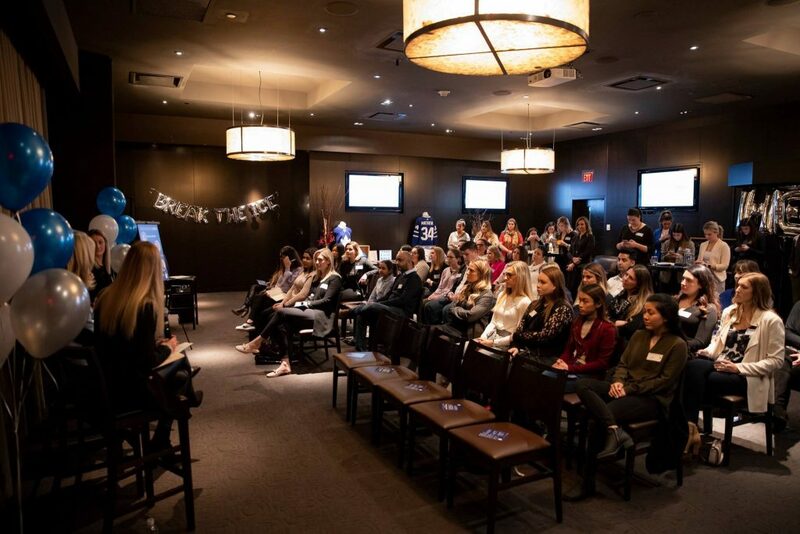 We were looking for new and creative ways to drive tickets, and we figured we’d host a panel focused on women in the industry. The idea came up naturally through creative thinking. You had an incredible line-up of panellists and speakers. Who were you most excited to hear from? I’ve had the pleasure of speaking with the panellists in the lead-up to the event. I was especially excited to hear from Katrina. She’s an external speaker and not someone who I’m close with. I wanted to learn from her background and how she’s driving female hockey in Toronto via the Toronto Furies. It was great to hear from her! What do you hope young students and aspiring boss ladies got from the event? I’m hoping that the attendees had felt a spark. I hope that they’re creative fire was ignited or stoked. 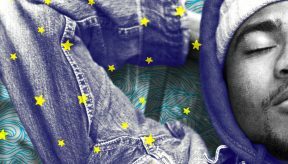 Whether that was someone who is hoping to get a job in sports, or was someone looking for inspiration and meet new people and create paths for themselves. This event was inspiring. I left believing that if there’s something I wanted, I could go get it. And I hope that others felt the same. We always tend to look at the negative comments that people throw at us on social media, but we never really acknowledge the good ones. Therefore, you have to focus on the positives of everything since those are the ones that will help motivate you to succeed. Networking is not just about adding people on LinkedIn. It’s about genuinely being interested about someone’s job and what they did to get to where they are. Katrina Galas specifically said to do your research before necessarily asking someone out for coffee, since it will really show if you’re only there to try and get your foot in the door. Be genuine about your intentions. Even if you don’t really have a sports background, there are skills that you can definitely transfer to succeed in this industry including good customer service skills and communication skills. Being able to communicate effectively in this industry is very crucial. Be your most authentic self, but be cautious of what you post on social media as everything stays online as most employers look at your social channels. As you can see, our SLN Creators learned a LOT from listening to the female panellists last week. 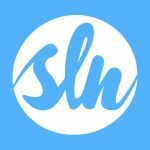 Keep coming back to the SLN blog for more recaps from exclusive events just like GroundbreakHERs! 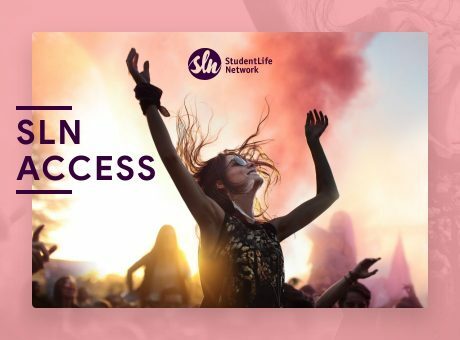 Student Life Network is your resource hub for all things school. We help you improve your grades, find the right school, reduce your debt, and line up your dream job.